In anticipation of the Torah reading of this Shabbat, Yitro-Exodus18:1-20:23, which contains the Ten Commandments, I share the following comments: My wife and I were taking our usual Shabbes walk along one of the Berkshire’s country roads. To make the stroll more “Shabbesdik,” we spend some time reviewing the Parasha for that Shabbat. The time and place of this discussion make it deliciously personal and intimate. “The commandment to observe the Sabbath,” came the instant reply. Perhaps the day being Shabbes influenced her spontaneous response. Curiously, earlier in the day as I was “daavening” and learning in the woods, the thought occurred to me that indeed the Sabbath, thematically, philosophically and spiritually could be viewed as the first commandment out of which the others flow in an organically interconnected way. Moreover, tradition understands the fifth commandment-“Honor your father and mother”-as the transitional commandment from matters pertaining to God to those affecting mortal human beings. Why? Since parents are co-creators with God in the birth of children, honor to God and to one’s parents are jointly shared and exhibited . I would submit that we step back from the fifth to the fourth commandment-“Remember the Sabbath day to keep it holy’”- to discover a statement that embraces the theme and rationale of both ends of the spiritual spectrum in one’s relationship to others and to a transcendent source in the universe. The first “three” commandments are directly related to God ‘s identity of transcendental uniqueness and sovereignty, while the remaining seven commandments encompass a moral and spiritual relationship to others and to the world as a whole. I contend that the fulcrum or axis around which both sets of relationships-those with God and those with human beings- revolve, is the Sabbath which engenders both a posture of gratefulness toward God and a position of ethical responsibility toward other humans. The required allegiance toward God is concretized in the observance of the Sabbath whose rationale in the Exodus version of the Ten Commandments is the Creation of the world and in the Deuteronomic version the motif for the Sabbath is correlated with the Exodus from Egypt. The Sabbath allows us to more personally and experientially understand God as the Source of everything and as our ultimate Liberator, the fountainhead of our freedom. The elaborate system of Sabbath observance is essentially designed to cultivate an abiding awareness of God as the Ultimate Giver for whose infinite gifts we are to respond with an ever increasing and deepening sense of gratefulness. We rest, we surrender, we embrace all that there is so that we may bless and thank. The Sabbath is two-directional, leading us to a more intimate sense of closeness with God-the “first” three commandments, and at the same time sowing seeds of spiritual and moral awareness of our interconnectedness with all other human beings, the last six commandments. 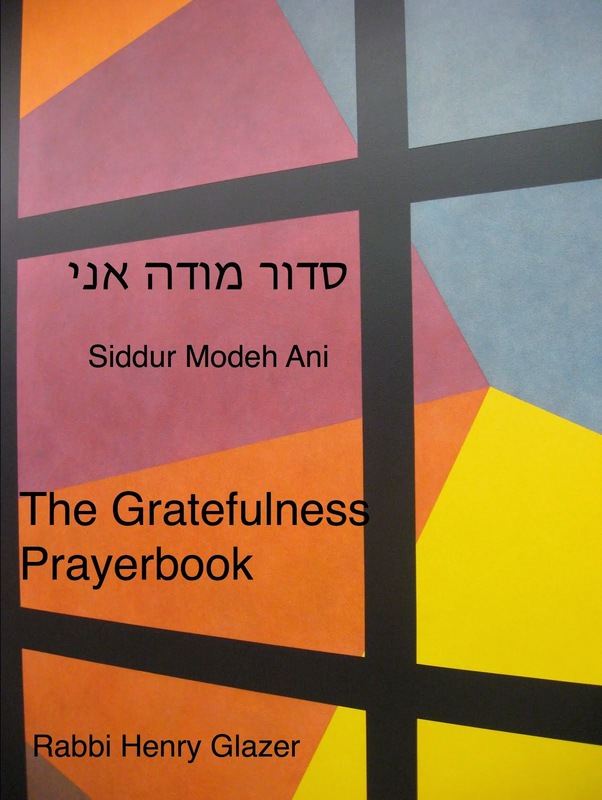 The spiritual dynamic that flows out of Shabbat is the principle that all things are intertwined as an infinite source of bounty for which we are expected to display an attitude of gratefulness. Gratefulness is the root of our spiritual identities, without which we cannot flourish as spiritual human beings. Following the fifth commandment, we encounter the dramatic and concise prohibitions that are the foundation of a moral human society. These universal dicta represent the uncompromising value of the human being.” You shall not murder:” “You shall not commit adultery;” “ You shall not steal;” In descending order of importance, from life itself to one’s most intimate relationship to another human being and then to one’s property, the commandments strikingly establish the inviolability of the human being as rooted in the authority and very existence of a Supreme Being. 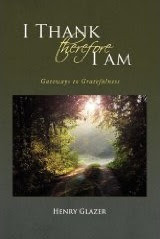 Examining these pronouncements of crucial human significance, the underlying spiritual need and capacity to cultivate gratefulness asserts its centrality and indispensability. 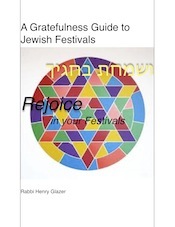 At the risk of oversimplification , I maintain that the characteristic of gratefulness as an essential component of one’s spiritual make up is a key theme and motif embedded in the entire structure of the Ten Commandments. If grateful, we by nature are inclined to respect, even preserve, the life, relationships and property of others because they all represent gifts from God, which we too share and enjoy. At the heart of the violation of human integrity and rights to person and property is an attitude of compulsive dissatisfaction, even greed. When excessive, uncontrollable desire overtakes a sense of grateful joy for what one has , when blind greed outstrips gratitude, this insatiability is often translated into acts of striking out at others in a desperate attempt to gratify these extreme cravings. It is the understanding of the Torah that envy and its accompanying emotion of greed are powerful precursors to acts of great moral reprehensibility. Thus the Ten Commandments conclude with the climactic pronouncement-“You shall not covet.” At the core of all human misconduct is the inclination to want something so badly that the rules respecting human boundaries and individual rights are trammeled upon without regard for the sanctity of the other human being. Thus, the need to legislate laws and practices that will protect the individual and the group from the onslaught of overbearing and insatiable desire. The grateful heart has no need to injure another, to take his property or violate his word or his person. I would suggest that the Torah’s most effective antidote against the feelings of greed and envy, its spiritual prescription for the malady of malice and discontent, is the institution of the Sabbath whose purpose is to instill in our characters and souls a pervasive sense of gratefulness for the world as it has been given to us by the Creator and the remarkable gift of freedom that makes us all uniquely human. 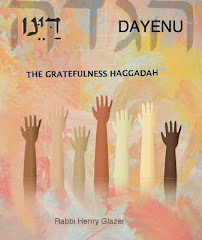 The organic extension of gratefulness that flows from the authentic Sabbath experience finds its everyday unfolding in acts that preserve and respect the lives, relationships and property of others. 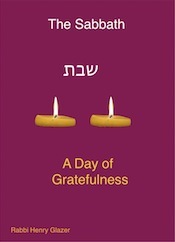 Shabbat is not only a time of rest; it is an opportunity to cultivate a soul of gratefulness, a soul of sacredness. Therefore, the commandment to “remember the Sabbath day to keep it holy” can indeed be seen as the “first “ of all the commandments, since without it our ability to embrace life gratefully would be severely curtailed, resulting in growing dissatisfaction and ungratefulness, the emotional and spiritual soil out of which could spring the shoots of moral indifference and callousness. Sabbath is so significant spiritually, that the authentic Sabbath observer cannot be anything other than a moral and decent human being. Which is the first commandment? Perhaps my wife had it right after all!